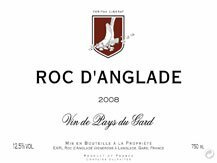 A 10 ha Languedoc wine estate situated in the department of le Gard in Langlade, a town renowned for the delicacy of its wines since the 15th century. Renting vines from Côte Rôtie producer, René Rostaing, Rémy Pédréno established the Roc D’Anglade domaine in 1999. In 2002, he purchased his own land. 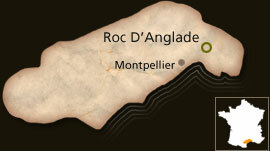 The vineyard is made up of a mosaic of siliceous clay soils on shale limestone. Main exposure is to the north, giving the wines a special balance and coolness befitting the fruit. Of the 6 ha he cultivates today, he has 1.5 ha of Chenin Blanc, 1.5 ha of Syrah, 1 ha of Grenache and 2 ha of Carignan. The Carignan is what gives the intense perfume and minerality to Rémy’s wines. 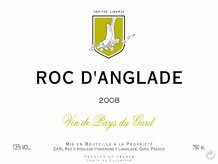 It is also what has robbed him of the Côteaux du Languedoc appellation and bumped him down to Vin de Pays du Gard status. The color is yellow with green reflections. A complex and distinguished nose of grilled hazelnut, flint. 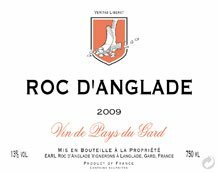 The palate is fresh and ample, deep and fruity, and exhibits great tension. The finish is boundless and you will benefit from keeping this wine for many years. Cultivation: Natural cultivation, free of pesticides and synthetics. BIO ECOCERT certified Mechanical ploughing of the soil. No weedkillers. Pale salmon color with silvery reflections, clear and explosive, evoking a blanc de noirs. A very delicate nose, with mineral, floral and spicy (coriander) notes. In the nose, fruits of grapefruit, apricot and peach. An abundant and harmonious attack, very fresh; thirst quenching. Best served out of a carafe in order to deliver its aromas, roundness and delicateness. Bursting and clear ruby red color. The nose is complex, floral and spicy, with notes of wild strawberries, leather, laurel and juniper. A sensual palate, delicately fresh and light, pure fruit and great minerality. Lacey, silky finish. For superior taste, drink at 15 years.